Portis, Antoinette. Very Good. 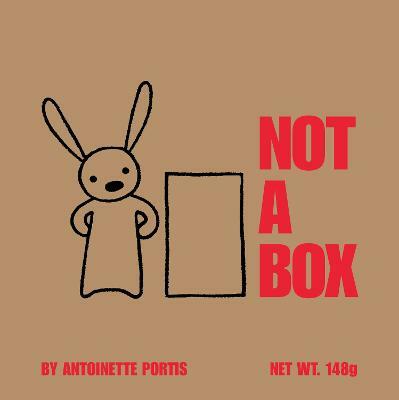 Not A Box by Portis, Antoinette, 2007-03-01. Sewn binding. Paper over boards. 32 p. Contains: Illustrations. Intended for a juvenile audience. Very Good. A beautifully designed book, celebrating the power of the imagination to transform even the most ordinary of objects into something magical. 32 p. Chiefly col. Illustrations. Intended for a juvenile audience. New. A beautifully designed book, celebrating the power of the imagination to transform even the most ordinary of objects into something magical. Illustrator(s): Portis, Antoinette. Num Pages: 32 pages, chiefly col. Illustrations. BIC Classification: YBC. Category: (J) Children / Juvenile. Dimension: 230 x 230 x 2. Weight in Grams: 138. 2008. Paperback.....We ship daily from our Bookshop.